The ruins of Ḥorvat Karkur ‘Illit (Upper Karkur) belong to a Roman–Byzantine period village situated along Wadi Karkur, roughly 7 km north of present-day Beersheba and a few kilometers to the northwest of Lower Karkur. Although the site is located in a desert zone, the land surrounding it is occasionally cultivated by a few Bedouin families. The ruins of the village, which include the remains of an underground quarry, a church, and a Roman bath, have not yet been excavated. Evidence of another Byzantine church situated on a low promontory c. 200 m south of the village was discovered by D. Alon in the 1950s. 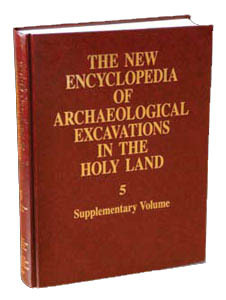 The excavation of this church was carried out in seven short annual seasons (1989–1995) by P. Figueras, on behalf of Ben-Gurion University of the Negev, with the assistance of R. Soriano and A. Ribera, members of the Municipal Archaeological Service of Valencia, Spain. THE CHURCH BUILDING. A Byzantine basilica in plan, the church includes a narthex and an atrium to the west and an annex consisting of several rooms to the north and south. The church, including its two annexes, was almost square in plan, c. 26 by 25 m. Its main hall was rectangular (c. 23 by 14 m) and apparently lacked an apse, at least in its latest phase of construction. It was oriented to the east. The sanctuary, or bema, was 0.50 m higher than the floor of the church and was approached by three stone steps in front of the altar.